FINALLY! 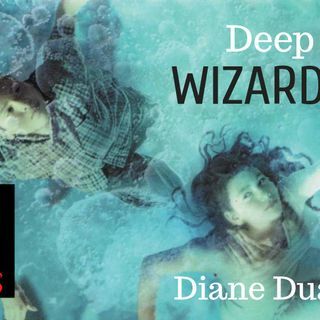 Thank you so much to Rosalie for commissioning the next book in the Young Wizards series, Deep Wizardry by Diane Duane! I have to confess I didn't expect that it would be so long before someone commissioned another book from this series, but I started to come to terms with the fact that maybe the other books weren't as good and nobody wanted to hear about them. I AM VERY EXCITED TO BE WRONG. This book starts off in a totally new setting, which I should have seen coming ... See More because of the cover, but guess what. I didn't. So our two heroes are down by the beach, they're talking to dolphins and whales, they're solving magical aquatic problems...this is all really new. I'm thrilled.